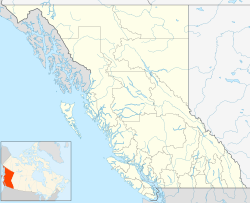 Galena Bay is an unincorporated locality on the bay of the same name on Upper Arrow Lake in British Columbia, Canada. Galena Bay is the location of a terminal of the Upper Arrow Lakes Ferry. This linking Galena Bay to Shelter Bay, the link forming part of British Columbia Highway 23 from Nakusp to Revelstoke. Galena Bay is also the terminus of British Columbia Highway 31, which runs southeast via Trout Lake City and Lardeau and then south down the west side of the north arm of Kootenay Lake to Balfour, near Nelson. "Galena Bay (locality)". BC Geographical Names. "Galena Bay (bay)". BC Geographical Names. This page was last edited on 7 June 2017, at 17:54 (UTC).